Delightfully designed with the modern contemporary bathroom in mind, this Dune 400mm Wall Mounted basin would look fully at home in the most up market of design magazines, this basin is as much a work of art as a functioning piece of a bathroom. Angles and lines are what this basin is all about. 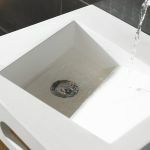 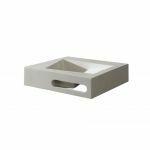 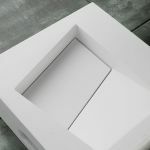 Another stunning detail to this is the removable waste cover - supplied with a fully matching piece of solid surface material that has been designed to sit over the plug to remove it from sight...yet allow the water to drain away. 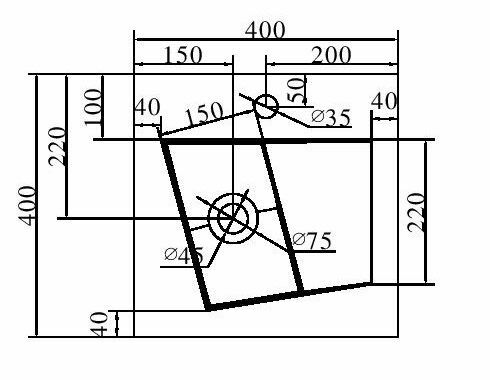 This is shown in the photograph below. Thoughtful yet practical. 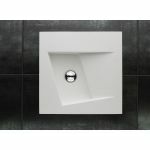 Add to this a front cut out for towel hanging, and we think you will agree this is set to be a design classic. 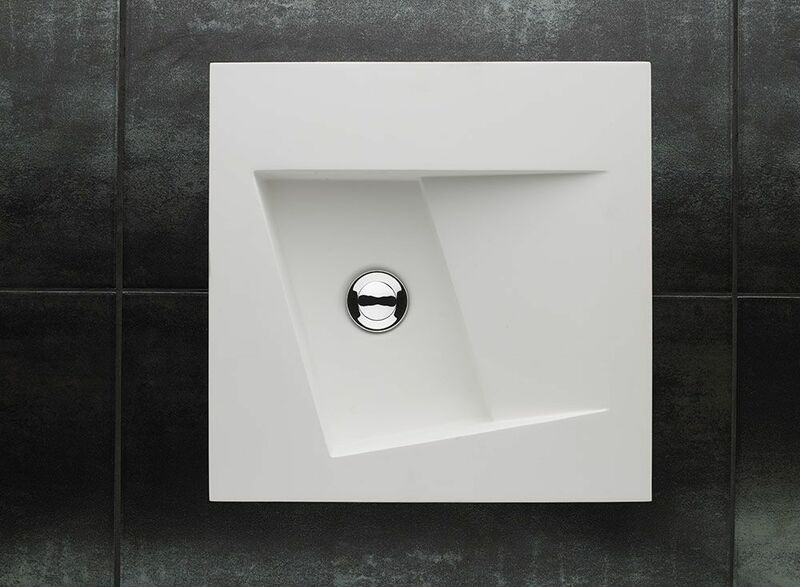 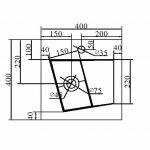 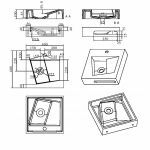 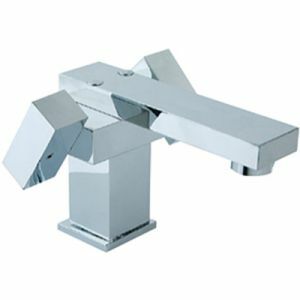 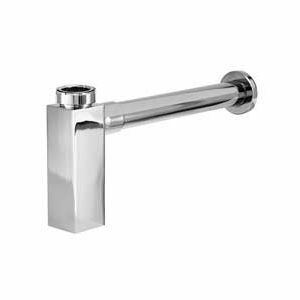 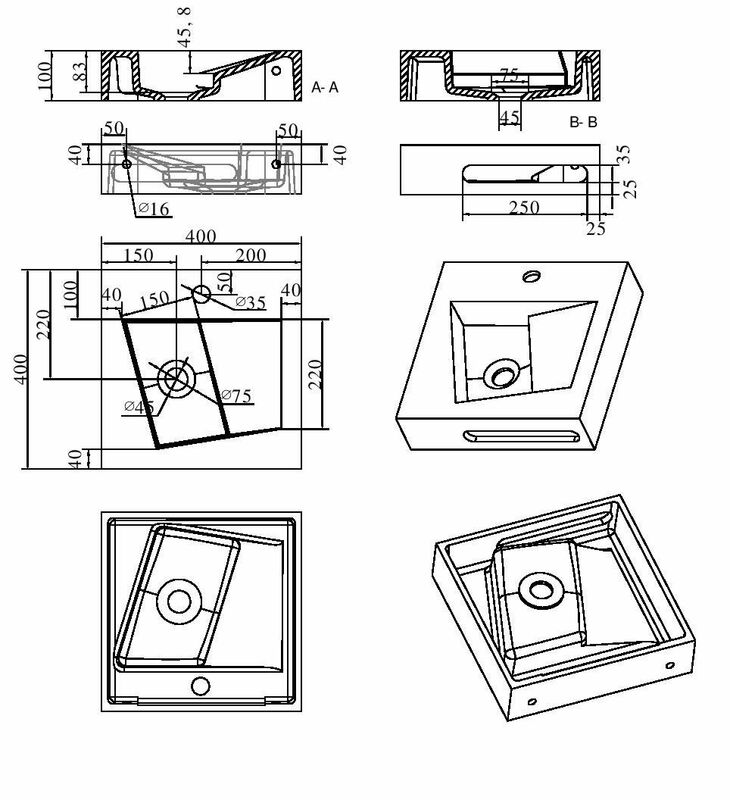 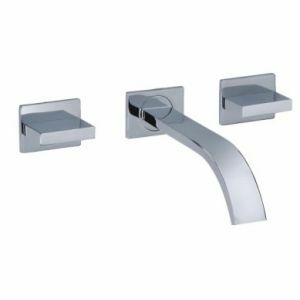 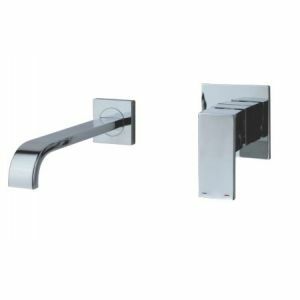 The basin has options of being supplied with either a tap hole for top mounting tap or with no tap hole, to allow a wall mounted tap to be used, we really are excited about this model. 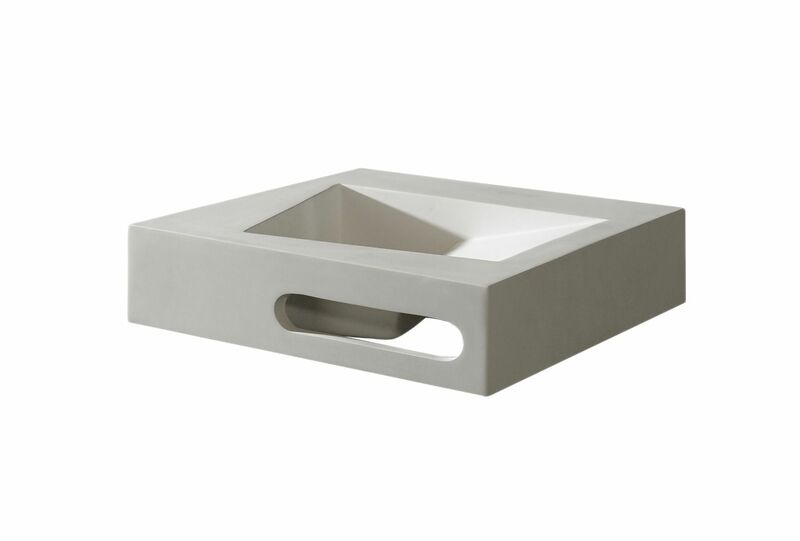 This basin is made from composite Solid Surface material and is supplied in Pure White Matte finish. 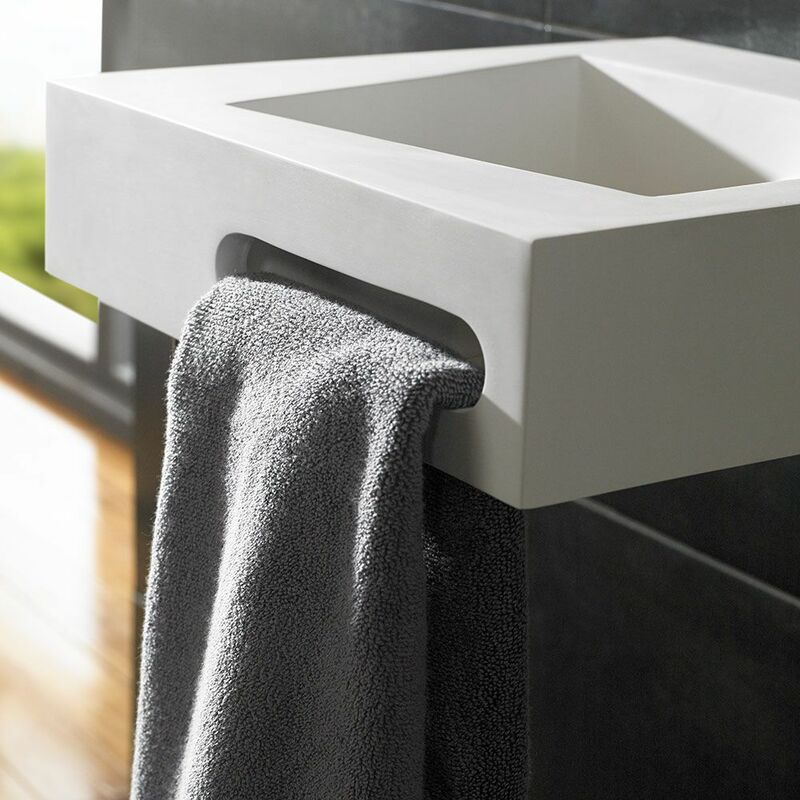 The touch and feel of the material is velvety almost warm. This size of basin is perfect for medium to larger bathrooms. 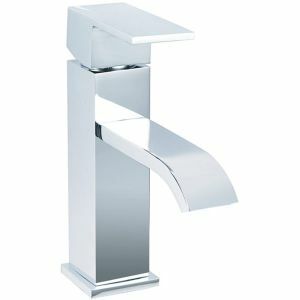 It will look amazing in most bathrooms or ensuites, adding a futuristic look to the most luxurious bathroom. 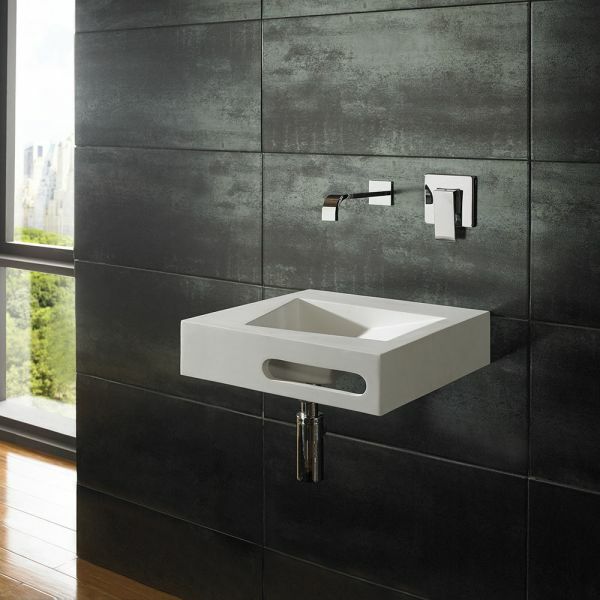 The basin is manufactured from a composite material called Solid Surface. 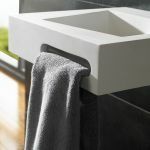 Solid Surface materials are becoming more popular for their hardwearing properties and flexibility, allowing stunning shapes and dynamic forms to be manufactured. 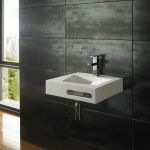 Seen now in kitchen and bathrooms, it is similar in properties to Corian. It comprises of a unique blend of minerals and acrylic bonded to form a hard surface that does not allow water penetration nor bacteria and mould anywhere to take root.